Pronounced “cash-kai”, this subcompact crossover SUV has an odd name. Now that’s out of the way, what is like to drive? 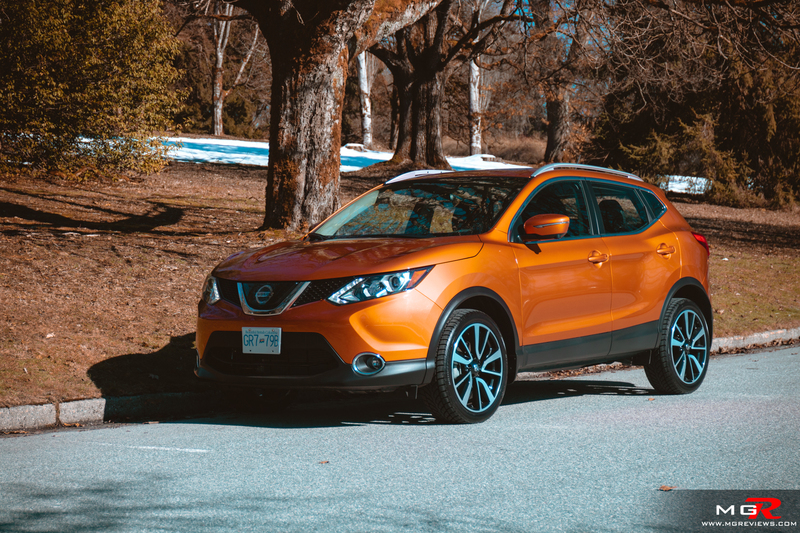 Engine – Nissan likes to use little 1.6L or 1.8L engines for most of their smaller vehicles but the Qashqai (or Rogue Sport as it’s known in the USA) gets the full 2.0L displacement. It’s not turbocharged so power is a modest 141hp and 147 lb-ft of torque. For a crossover that tips the scales at approximately 1,550 kg, the engine is on the underpowered side. Granted this SL trim is loaded with a lot of features, AWD and an automatic transmission. The FWD Qashqai with the manual transmission weighs 125 kg less so that does help the engine a bit. The fact that it is not turbocharged means that throttle response is good. 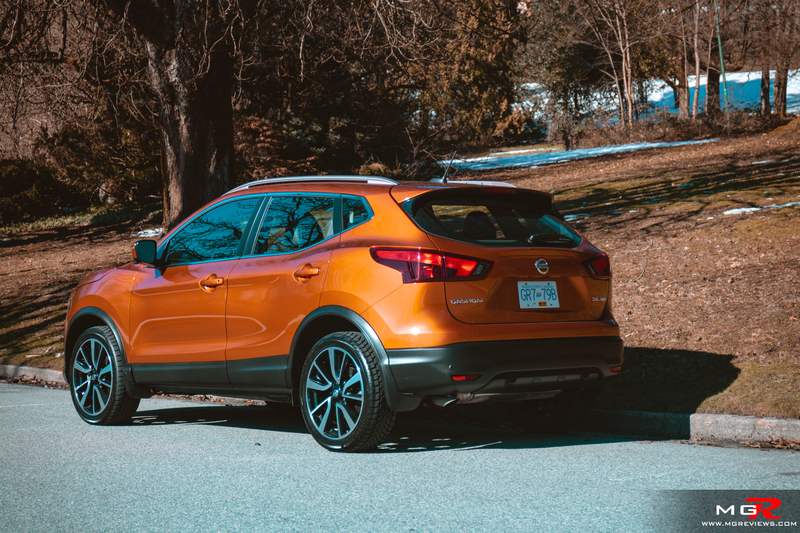 From a stop to about 70-sh km/h, the Nissan Qashqai feels fairly peppy around town. However accelerating to overtake another vehicle on a highway requires some patience as the engine’s power is in the upper rpm range. 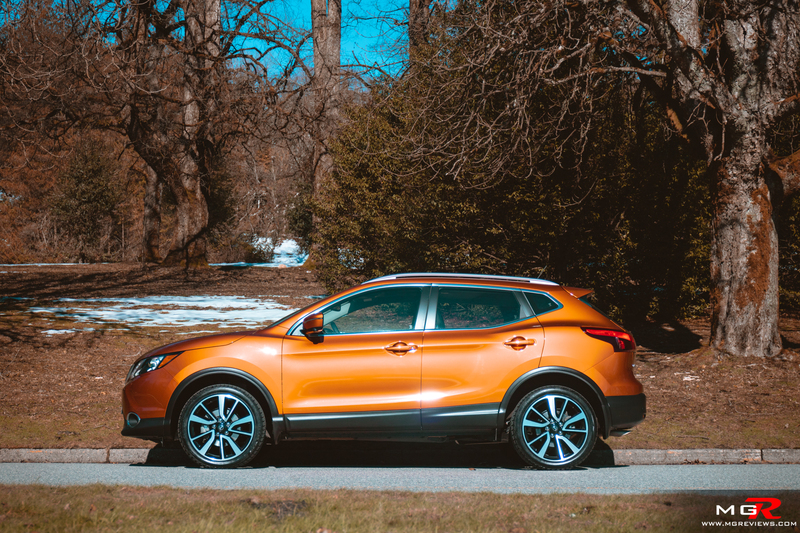 Transmission – As mentioned, the 2019 Qashqai is available with a manual transmission with FWD or a CVT automatic with both FWD and AWD. The Xtronic CVT is not the greatest CVT in the world for driving pleasure but for saving fuel, it does a good job. 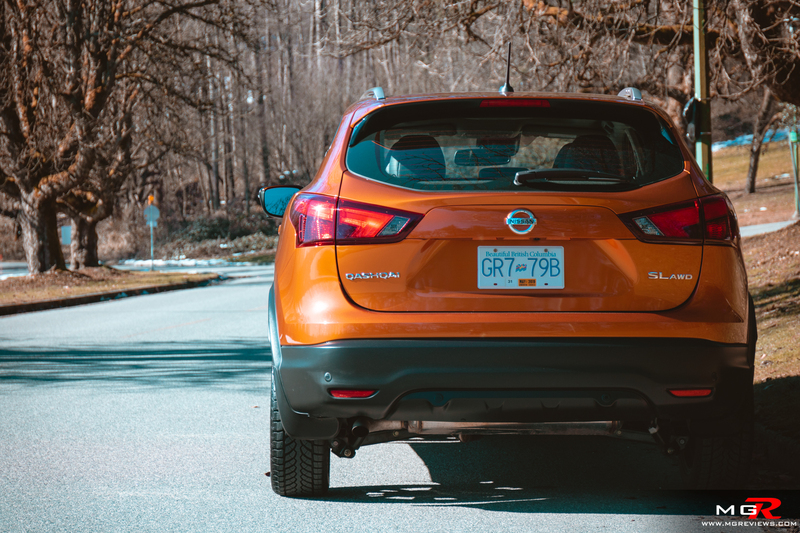 The Nissan Qashqai is rated for 9.1 L/100km (25.8 mpg) in a city and 7.6 L/100km (30.9 mpg) on a highway with AWD. 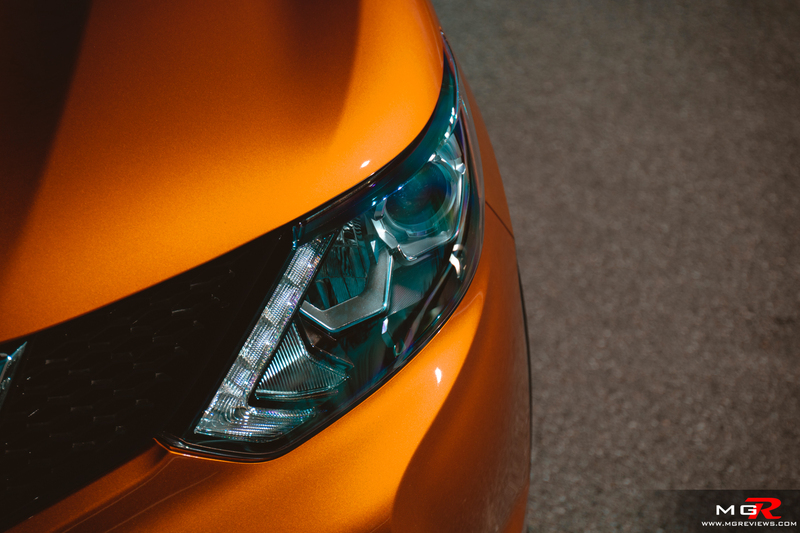 Braking – Coming to a stop in the Nissan Qashqai is predictable and confidence inspiring. The brake pedal is easy to modulate and provides a firm feel against your foot. Handling – The steering is surprisingly quick for the Qashqai. The only other subcompact crossover SUV that has similarly quick steering is the Mazda CX-3. Unfortunately, the feedback through the steering wheel is not as good as it is in the Mazda. 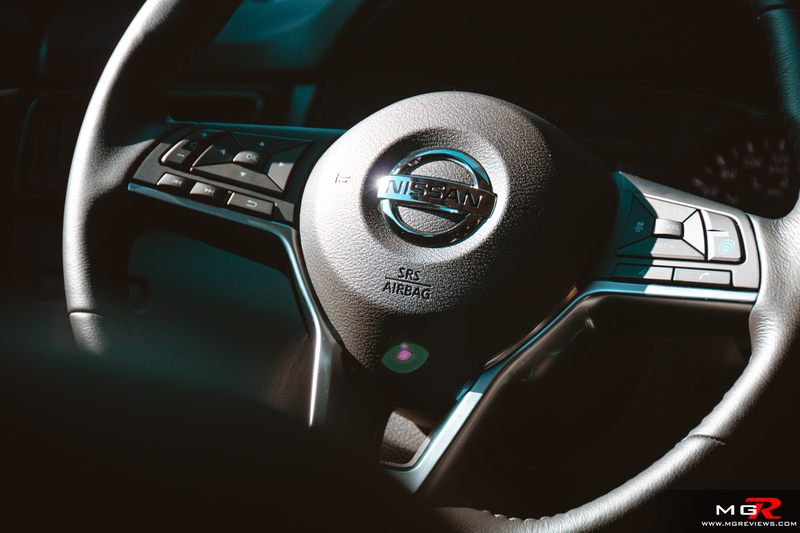 It’s a bit vague in the Nissan but that doesn’t mean you can’t quickly dart through traffic on busy city streets. Ridge Comfort – To my surprise the Nissan Qashqai has a stiffer than expected ride. It’s by no means a sports car feeling ride but compared to other subcompacts, it’s a bit on the harsher side. 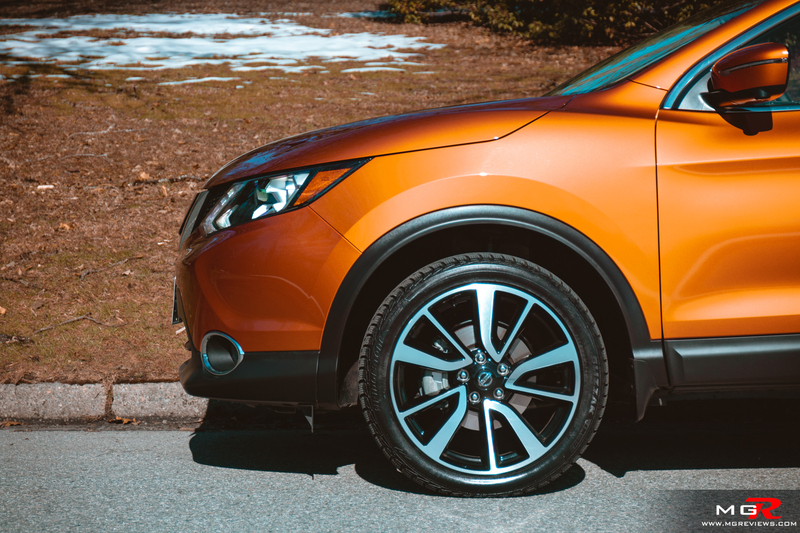 If it’s a smooth ride that you’re after, the Qashqai’s brother, Kicks, is the one to go for. 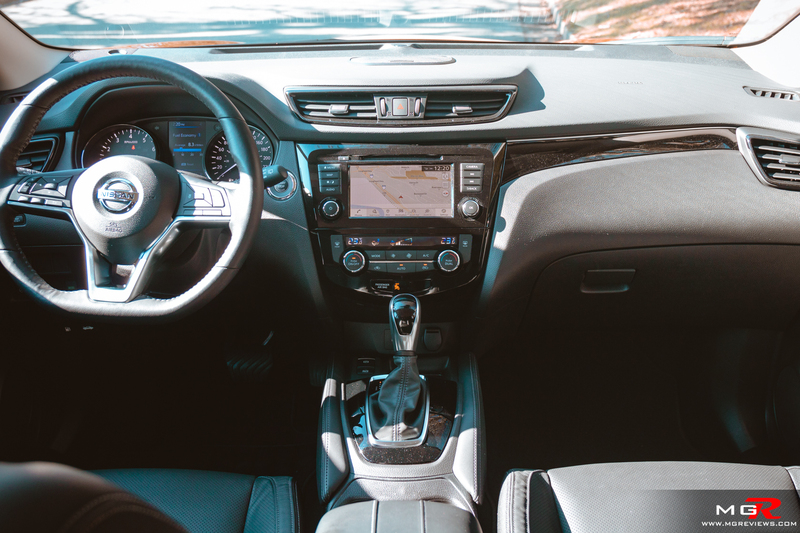 Interior Space – Getting in and out of the 2019 Nissan Qashqai is easy thanks to it’s driving position and wide opening doors. 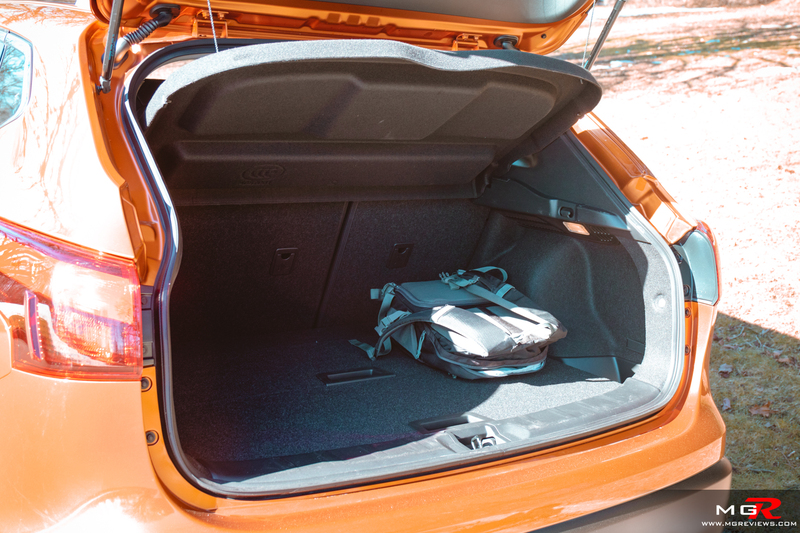 Front occupants have plenty of leg and head room and unlike other subcompact crossovers, the rear occupants have a decent amount of space as well. 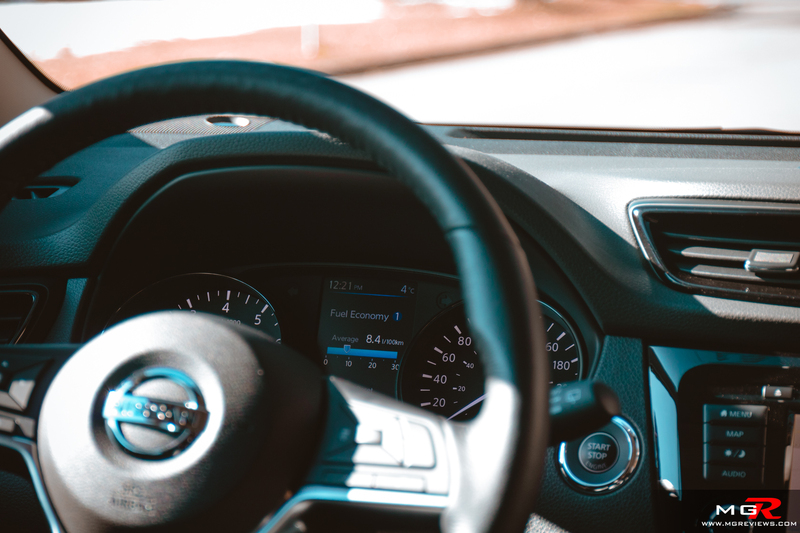 Noise, Vibration, & Harshness – Wind and road noise are relatively subdued inside the cabin but engine noise is very prominent especially when accelerating from a stop or to overtake on a highway. 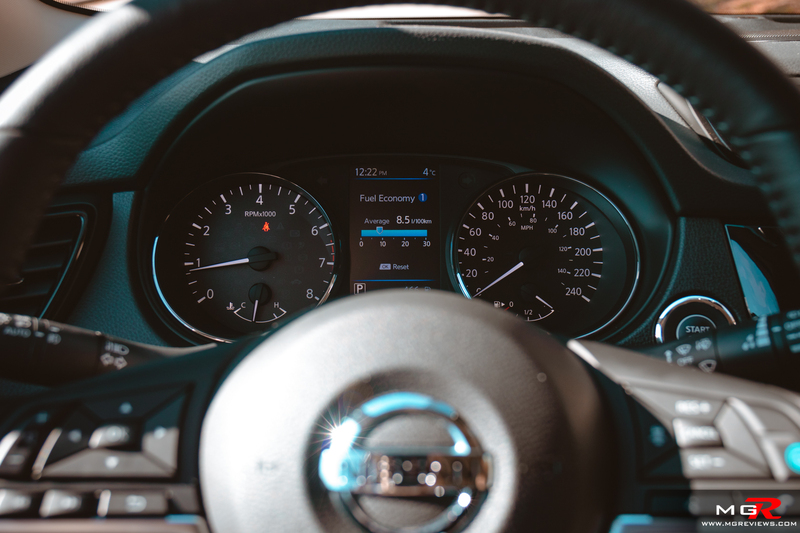 Interior Design – The dashboard looks like most other Nissan vehicles with well laid out controls for the climate and media. If you’ve driven any other Nissan vehicle in the last 3 or 4 years, the layout should feel immediately familiar. I don’t quite understand though why it has a racing car inspired flat bottom steering wheel but my inner 9 year old does approve of it. 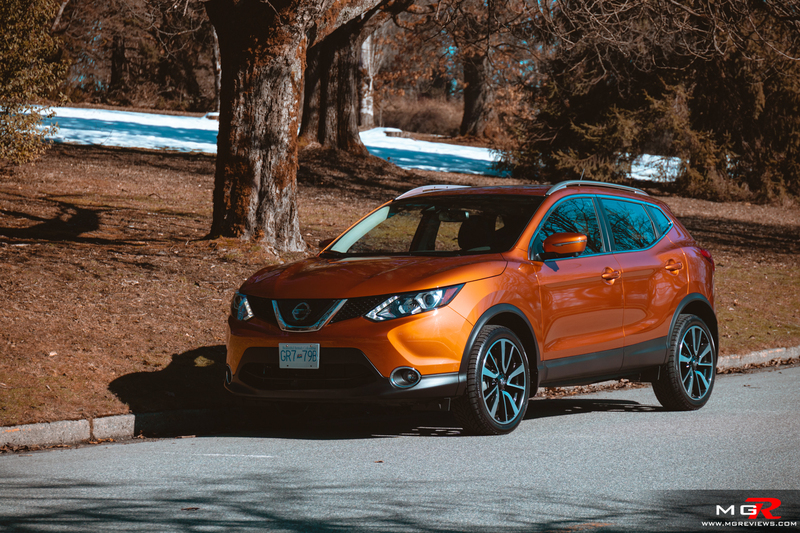 Gadgets – For a subcompact crossover SUV, the 2019 Nissan Qashqai comes well equipped and is available with a lot of features. 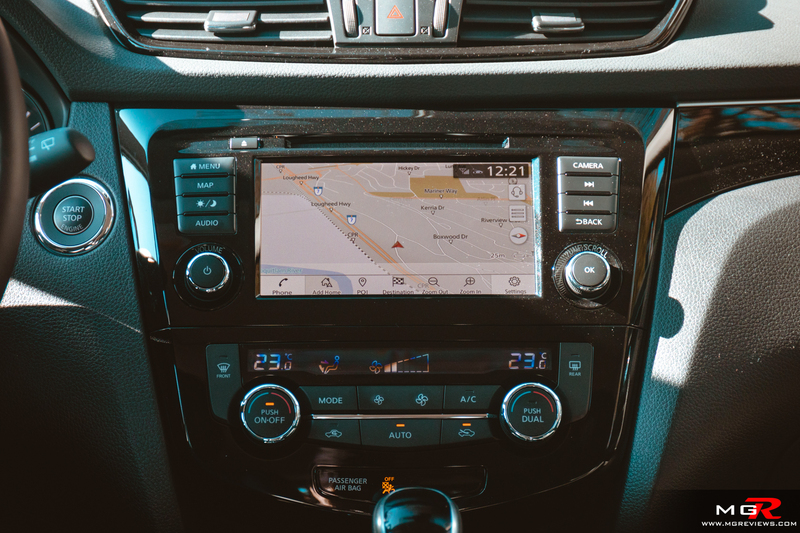 Some key standard features include Apple CarPlay and Android Auto compatibility, emergency automatic braking, blind spot sensors, rear cross traffic alert, and heated front seats. Not bad for standard features. But opt for this top SL trim and you can add leather seats, 19” wheels, ProPilot assist, and Surround view camera system. 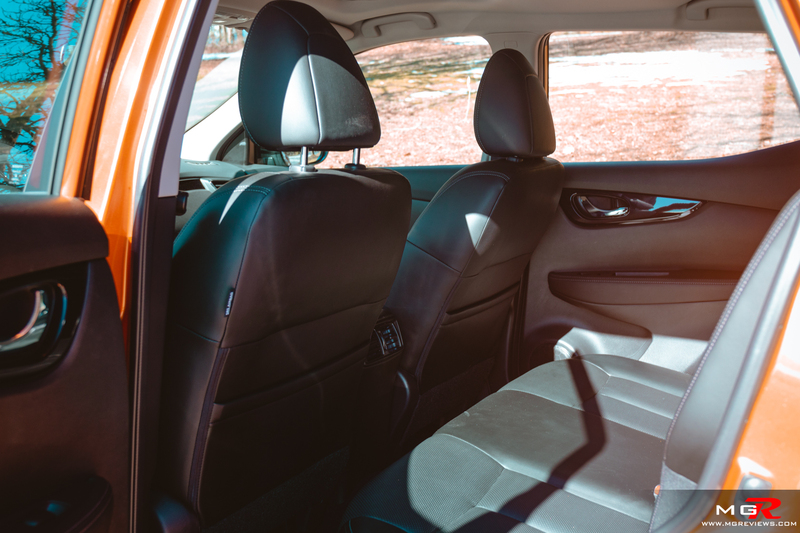 Those last two features are virtually unheard of in the subcompact crossover SUV segment and are nice features to have on any type of vehicle. Of course there is a price to pay and it’s not cheap. 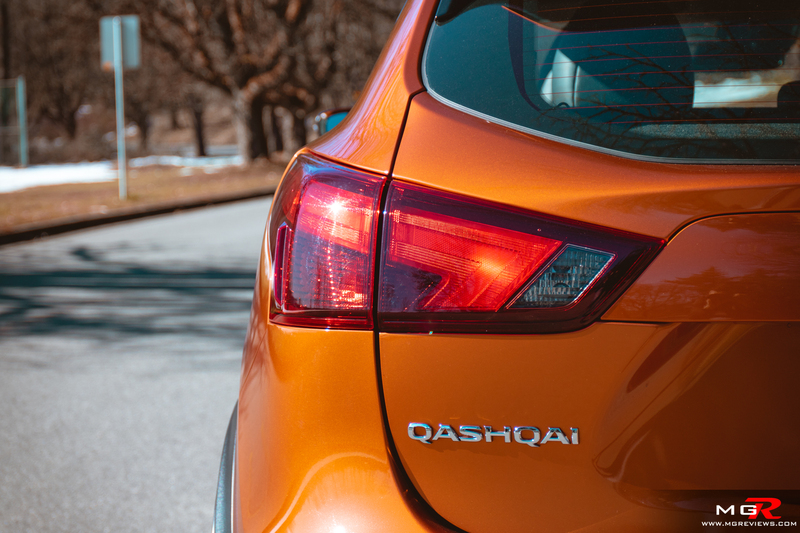 The Qashqai SL starts at $31,198 CAD and can go up to $33,300 with the optional Platinum Package. But the base S FWD trim starts at a more reasonable $19,998 CAD. Exterior Design – The overall shape of the Qashqai is similar to it’s Rogue bigger brother. It’s just the front and rear that really set the Qashqai apart. I think it looks great especially from the front with an almost alien front grille. 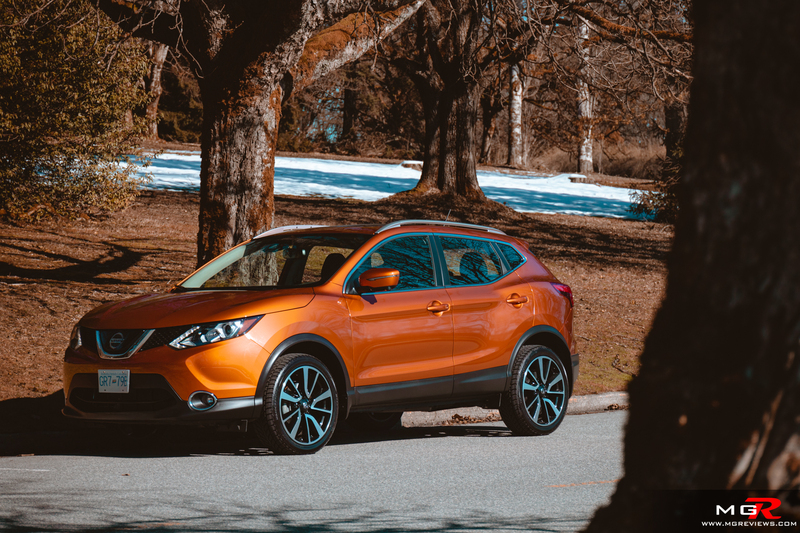 Unfortunately (or fortunately if you don’t like the looks), the Qashqai is getting a facelift for the 2020 model year and it will look much more similar to the Rogue. 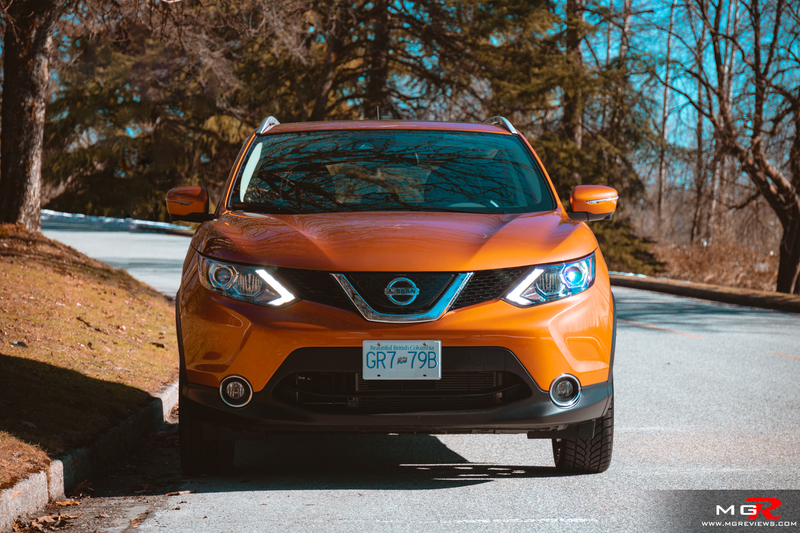 In all the 2019 Nissan Qashqai is a good blend between being a sporty crossover like the Mazda CX-3 and being a comfortable crossover like the Subaru Crosstrek. It’s also similarly priced as the CX-3 and Hyundai Kona for this SL trim so long as you don’t tick the Platinum package on the options list.